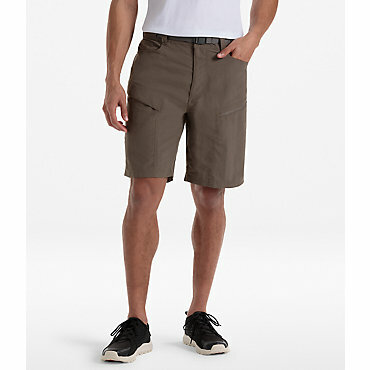 These shorts by Mountain Hardwear are very lightweight and are made with comfortable material. 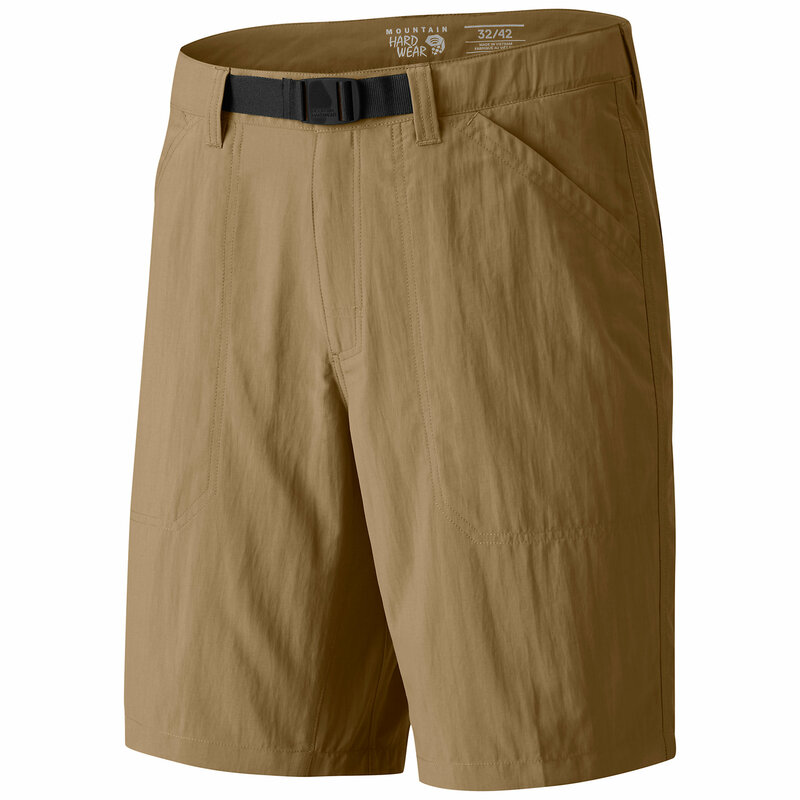 You don't have to worry about what comes at you in these shorts because they are easy to move around in, are quick drying, and feature mesh draining panels in the pockets. 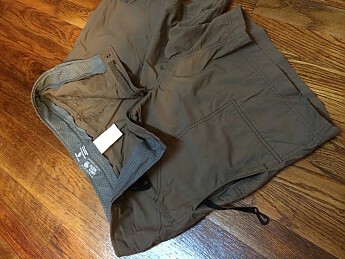 These shorts are great for time on the trail or around the campsite, especially if you know that there is a good possibility you'll be swimming or getting wet. 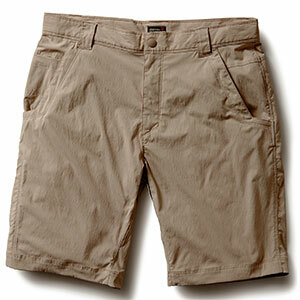 They are so lightweight, coming in at a whopping 7.9oz (size large) and are comfortable to walk in all day long. 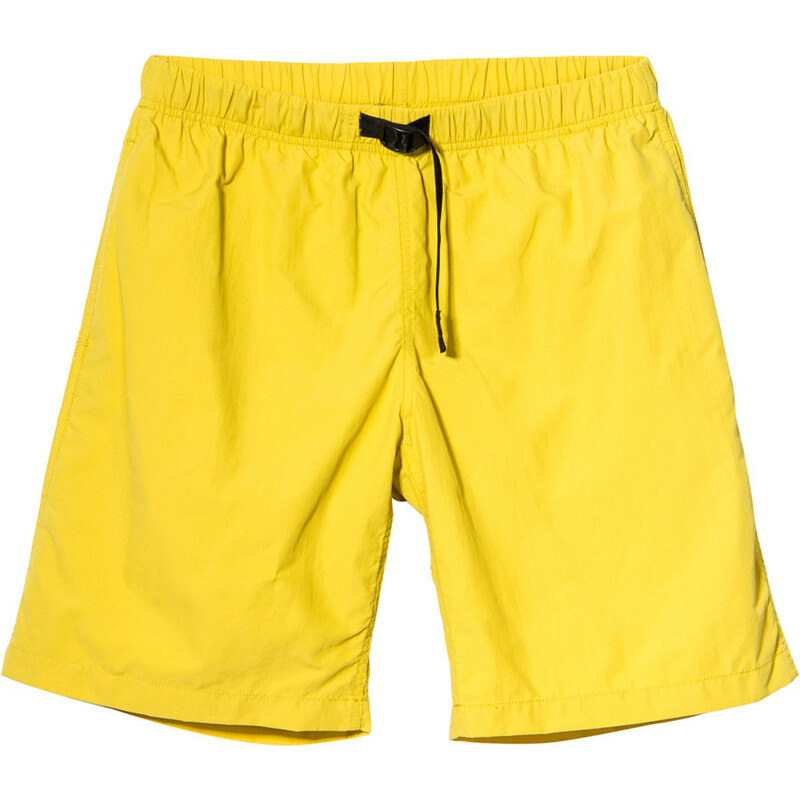 I love wearing these shorts on hot days because they are very breathable, have UPF 50 sun protection, and are great for jumping in swimming holes. The great thing is that you don't have to worry about being soaked the rest of the day and being miserable because these shorts will be dry before you know it. The waist has a micro-chamois lining which is super comfortable against your skin and dries quickly as well. I really like the deep front pockets and the straight up design of them because I don't have to worry about stuff falling out of them. 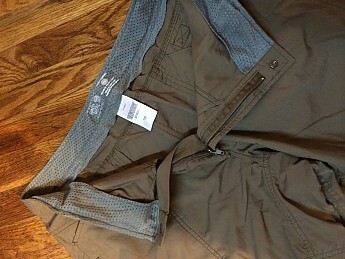 There is also a side zip-up pocket that features a clip for extra security. You can easily clip your car key in here to make sure you don't have an unpleasant surprise when you get back to the trailhead. 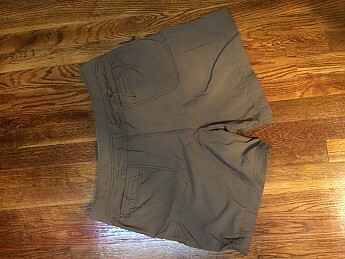 These shorts did fit a little strangely to me at first. 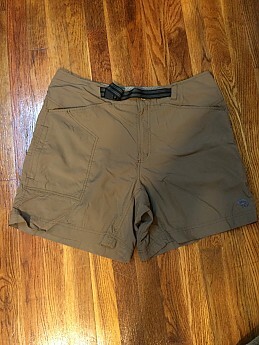 They just fit different than all my other shorts, so it took a few times wearing them to get use to the fit. I love them now and love the way they fit. I recommend these to anyone who will be active on the trail and may have a spontaneous swim break! 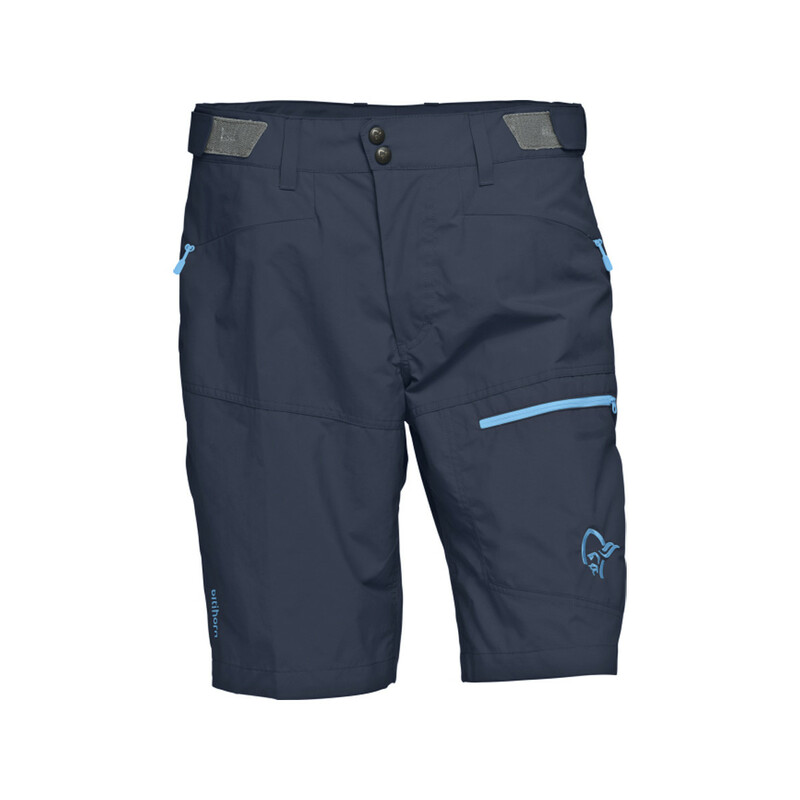 The Mountain Hardwear Canyon Short is not available from the stores we monitor. It was last seen August 21, 2018	at Massey's Outfitters.